First things first, I have no shame. I LOVE CELTIC WOMAN CHRISTMAS. I ALSO LOVE AMY GRANT CHRISTMAS. Between the two of those, best $17 you'll spend all season. My dad is like, ridiculously hard to shop for, but I searched "beer" on Etsy and found three winning options! I ended up getting him that beer flight holder (I chose the dark walnut stain) which I am REALLY excited about. It came in the mail yesterday and is seriously going to be perfect for him. 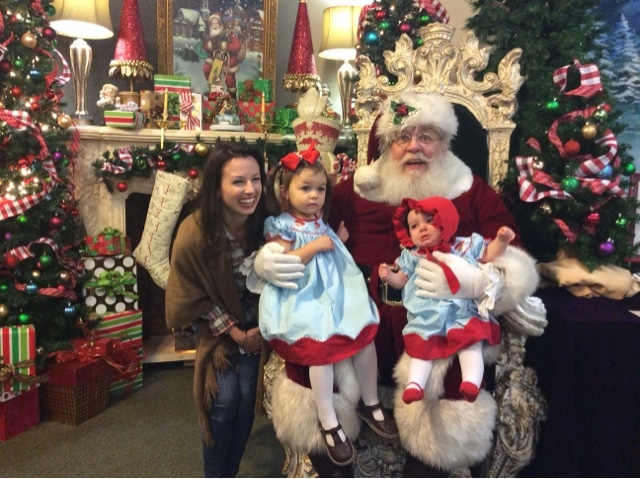 Yesterday we did our annual visit to Black Lion in Pineville to visit Santa! This was the first year that Camille agreed to sit on his lap -- a total win! I have more photos to share next week but wanted to let any local-ish readers know that this Santa will be at the store TOMORROW from 1-4 doing more free photos with the kiddos. No appointments needed, and it's seriously free with no strings attached. Bring your own camera, but they also take photos for you (like this one below) and email them to you. Bravo for locally-owned stores who do it RIGHT. We are actually on the hunt for two more stockings. I have two basic linen ones already that I plan to have embroidered with the girls' names. My mom made them. Then Ian and I will just get some coordinating stockings. Check out this adorable stocking I found on Etsy. Heart eyes for days. Lastly, I know many of you aren't spending money on yourselves this holiday season .... WAIIITTTTTTTT, if you're anything like me, you've already spent too much on yourself this holiday season! Well, I admit that I pulled the trigger on that embroidered sweatshirt from Loft on Wednesday. It was 40% off with free shipping. Well, I checked again just now and it is 40% off again with code STYLEEVENT. 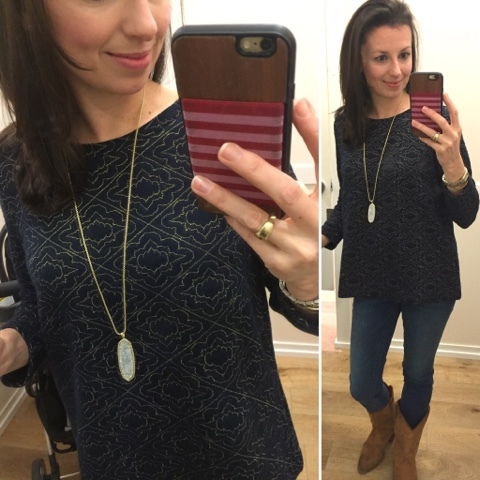 So, if you loved the look of this sweatshirt (the perfect combo, IMO, of cozy yet flattering) and want to get it for a steal, then go forth and shop. For yourself. It's okay. YASSSS! Amy Grant's christmas album is life! haha! Such a classic! I love that there's a free Santa and they let you take your own photos! That's just fantastic. I wish more stores around here would do that! Love the crying Santa pic! Amy Grant is a must at Christmas!!! 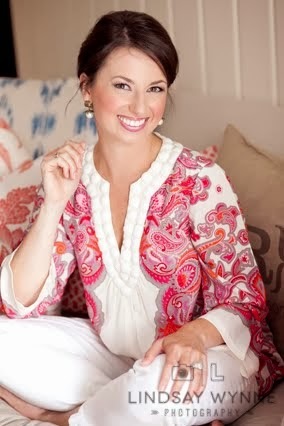 I loved Amy Grant growing up. Not sure if I've listened to her Christmas album and if I have it's been a LONG time! That's awesome that that store does free Santa pics. And what a realistic looking Santa! Have a great weekend! What a cute Christmas picture! How cool is this...my kids go to school in Nashville and Amy Grant comes every year and sings at "Lighting of the Green" on their campus. Love. that! It is so hard to NOT spend money on yourself when there are so many amazing sales going on this time of year! 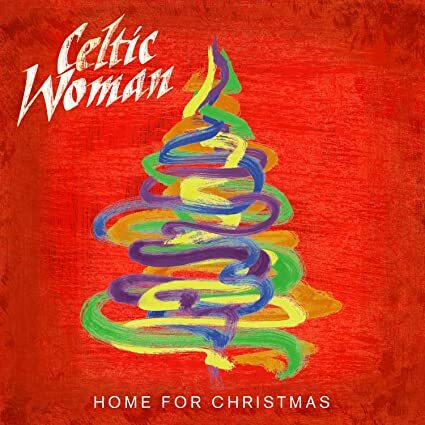 I love Celtic Women (Christmas especially!) too. ahhh amy grant christmas reminds me of childhood!! so classic!! !